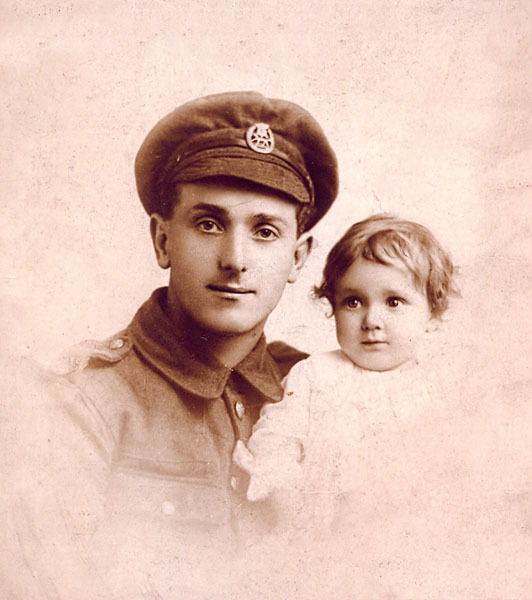 Francis Martin Darlow, 12/86 the Sheffield City Battalion Yorks and Lancs Regiment. My grandfather did not die in WW1 although he spent many months in the trenches and also served in Egypt before going to France. He joined up on 17th September 1914, aged 24, when he was employed as a clerk at Edgar Allen's steelworks in Tinsley. He had attended the Central Secondary School until about 1905 before going to Edgar Allen. Martin's Brigade was disbanded in France on 11th February 1918 and he was transferred to the 7th Yorks & Lancs. My grandfather was promoted to the rank of Second Lieutenant on 3rd March 1919 and then transferred to the Army Reserve Z on March 5th ; he was demobbed in November 1919. Early in the second WW he joined the Home Guard as an instructor and in March 1942 he was recommissioned 2nd lieutenant in the Sheffield Army Cadet Battalion, York and Lancs Regiment. Born at Sheffield in April 1890 he also died at Sheffield in 1963.